If you're looking for new ways to entertain yourself and kill your boredom we have the perfect game app for you. Feed the Spider is quite new game on the iOS platform that is built with wonderful forest themed backgrounds, awesome sounds and very addictive gameplay. Created by Guilherme Barbosa, Feed the Spider can relax and challenge you ate the same time. The game may look like it's easy to play but believe us, it is not. There are 1200 difficulty levels for you to complete. 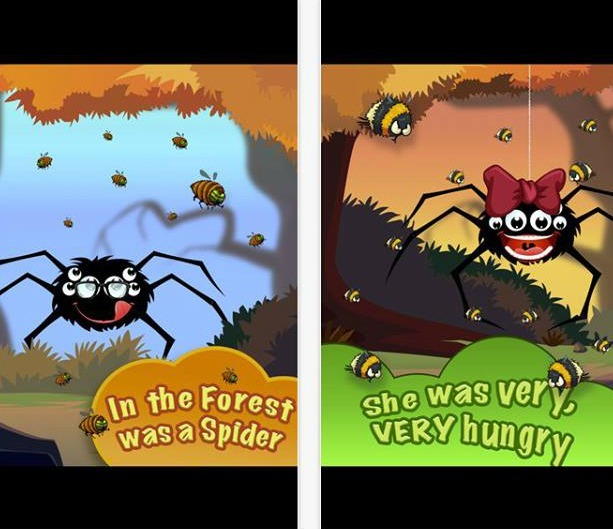 Win and get to higher levels by playing with the main character, the hungry spider. She is always hungry, so make sure you feed her with the insects in the surrounding. Catch as many delicious insects as you can (bees, beetles, wasps, mosquitoes, etc.) and make the cute spider happy. You also get helpful daily bonuses. Besides the cool gameplay, you will be able to groom the spider with different accessories and read lots of interesting facts about insects and spiders. Play it anywhere you are, anytime you want and share the entertainment with your friends and family. Download it for free from the App Store.